We have many resources to help prevent your mail servers from being blacklisted such as our email authentication guide and blacklist checker. 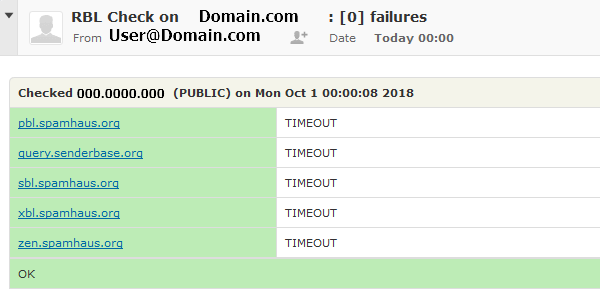 VPS owners with ConfigServer Security & Firewall (CSF) installed can also complete scans and schedule email reports for their domain and server IP addresses within WHM. Scheduling reports allows you to focus on other matters requiring a proactive approach such as security and web analytics. Select ConfigServer Security & Firewall from the menu. Select Check for IPs in RBLs. At the bottom select never, hourly, daily, weekly, or monthly reports and the recipient email account. On the first day of the selected time-frame you'll receive an email report with the specified results. Update All Checks (standard) to report issues only. Update All Checks (verbose) to report all results. 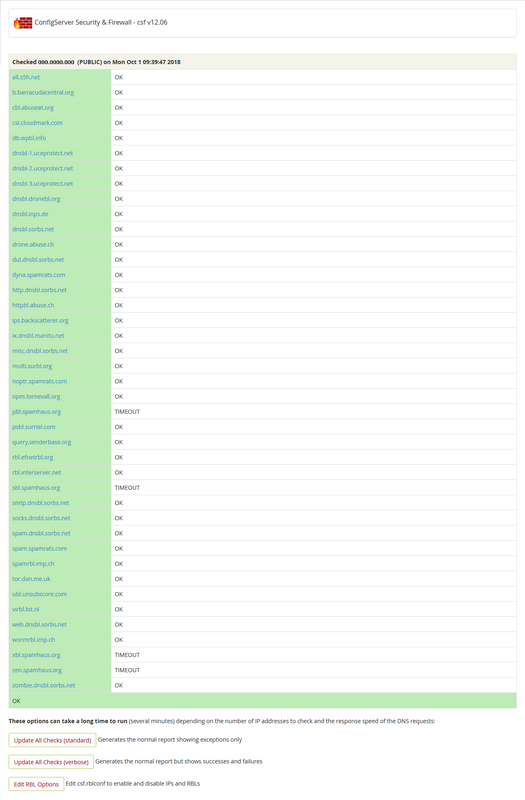 Links for removal per blacklist and other options are also displayed. You may want consider an email filter - not to be confused with email forwarders - forwarding these emails to a specific folder. You can review our delisting guide for any results stating you've been blacklisted. Also, MxToolbox.com is another great resource for checking your IP's against blacklists.